Jeff Koehler is an American writer, traveller, photographer, and cook. In his latest book, he takes readers on a literary adventure to explore the origins of coffee. 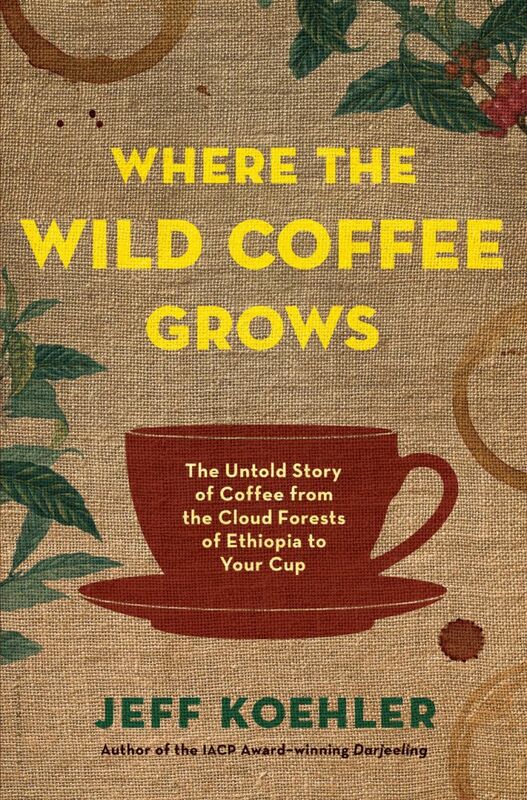 Jeff Koehler was kind enough to do a Q&A with Coffee Magazine about his new book, Where the Wild Coffee Grows: The Untold Story of Coffee from the Cloud Forests of Ethiopia to Your Cup. 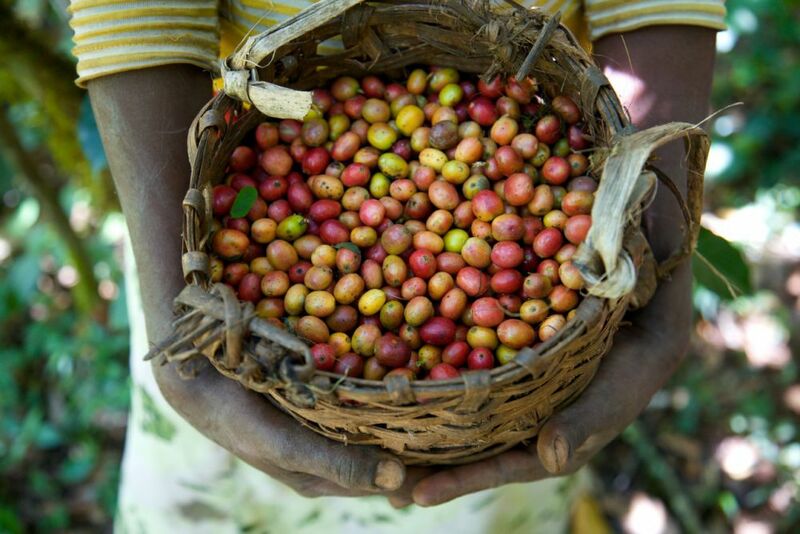 What inspired you to write Where the Wild Coffee Grows? When I was working on my last book, Darjeeling, I thought a lot about crops in their original home versus adopted ones (such as Darjeeling tea). The one that most captured my attention was coffee – Arabica coffee – which grows wild in southwestern Ethiopia. I thought it would be interesting to look at coffee in its native home. That was the idea, but it grew into much more. Why do you think it’s important to set history straight about the origin of coffee? Arabica means “from Arabia.” But the centre origin and diversity is in the Montane rainforests of Ethiopia. It is from Ethiopia, a point that tends to get little attention in most books. As well, it seemed logical that the world’s original coffee culture was around those forests where the fruit grows wild. Their story has never really been told. In your book, you mention that Kafa is home to the world’s original coffee culture, yet remains virtually unknown. Why is that? The area was, until relatively recently, extremely isolated. Western explorers didn’t really reach it until the very end of the 19th century, and the coffee forests were hardly breached by outsiders until the 1930s. The first scientific expeditions to gather genetic material did not happen until the 1950s. How much time did you spend in Ethiopia in the researching and writing of this book? I worked on the book for about two years. I had three trips to Kafa and around the west of the country. I also spent time in eastern Ethiopia, which has an ancient tradition of cultivating coffee around Harar, in Sidamo and Yirgacheffe, and, of course, in Addis Ababa, with coffee industry folks. Did your research take you anywhere else in the world? Indeed! I had four visits to Kew Gardens in London with their coffee specialist, a couple to Montpellier where some of world’s greatest coffee geneticists are working, and to Amsterdam to follow coffee’s arrival in Europe and also spend time with the most important importer of specialty coffee from Ethiopia. I went to Latin America to see coffee farms suffering from coffee leaf rust fungus and to meet farmers and families so affected by it. For the specialty coffee world, I travelled to Vancouver, Seattle, Portland, Oakland, and San Francisco in the US. Plus phone, skype, and email interviews with people working in coffee across the globe, from Yemen to Kenya to Panama. And many, many hours in libraries in various countries. As well, I was able to draw on my earlier travels to coffee producing areas, namely Yemen, Sumatra, Kenya, South India, and Mexico. 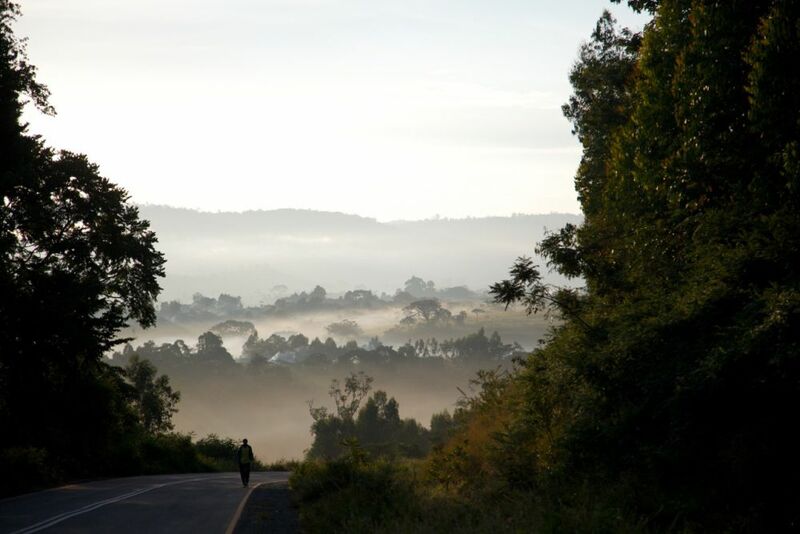 What was it like to travel through the villages and forests of Kafa? Magical! In many respects. One of them was seeing coffee as just another plant in a forest. Cultivate coffee is meant to exist. It is planted in a field to produce. Not so wild coffee. These trees exist because they won their space in the forest. They exist simply because they fought and survived. You mention that Ethiopia possesses 99.8% of the world’s genetic diversity of Arabica. Why is that important? Cultivated Arabica has an incredibly narrow genetic base. In part that is from its history and how it spread, and in part from its nature. Arabica is self-pollinating – its pollen can fertilize its own ovule – and pollinates itself about 95 percent of the time, which keeps diversity from entering the species. Genetically impoverished plants are highly vulnerable to pests, diseases, and changes in climatic conditions. They also have an inability to adapt or respond to environmental, or even market, demands, and limited potential for breeding new varieties. Arabica’s diversity is greatest in the southwestern forests where it grows wild. Genetic variation is highest at its origin. The key is to tap into that diversity and bring it into new breeds of coffee. You speak to the production of coffee under threat from climate change and disease – how worried should we be? Entire swaths of coffee-producing countries will lose their ability to grow Arabica. A report by the Intergovernmental Panel on Climate Change found that 2° to 2.5°C increase in temperature would significantly trim the amount of suitable land for growing coffee across the world, perhaps halving it by 2050. In Brazil, where half of the world’s Arabica is grown, a rise of 3°C would cut areas adequate for coffee production in the principal growing states of Minas Gerais and São Paulo by two thirds and extinguish it elsewhere. Around 85 percent of Arabica today is grown in Latin America. That region that is being incredibly hard hit by a devastating fungus called coffee leaf rust. Climate change is aggravating its spread. What advice would you give to travellers wishing to follow in your footsteps and explore the roots of coffee in Ethiopia? Arrange a truck and driver in Addis and head west to Bonga. From there, hire local guides and get into the coffee forests. The German environmental association NABU (Nature And Biodiversity Conservation Union) is a good place to start. 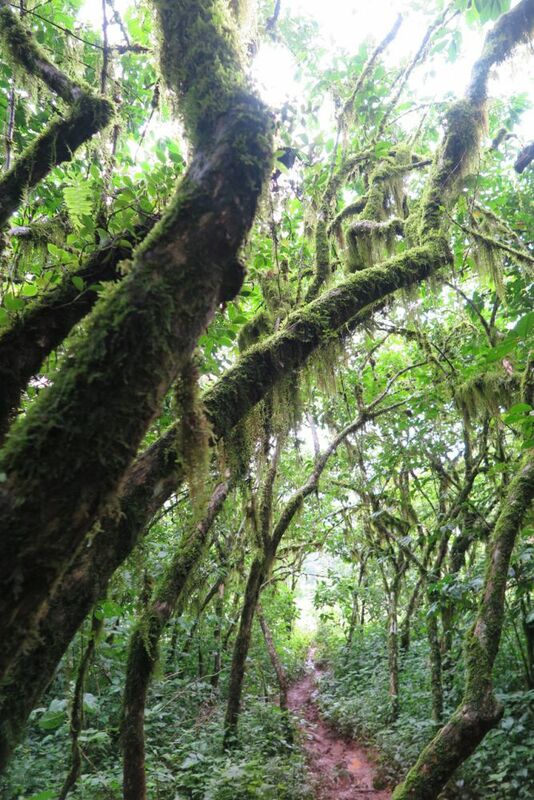 A massive swath of Kafa’s coffee forests have been designated a UNESCO biosphere. I also highly recommend Aregash Lodge, in Sidamo, not far from Yirgacheffee. It is by far my favourite place to stay in Ethiopia. And Harar remains the most amazing city in the country. I’m sure you met some interesting characters in your research and travels? In Ethiopia, Mesfin Tekle, the leading expert on Kafa’s forests. The numerous forests walks we did together were the highlight of my time in the country. His knowledge of the natural world in those forests was matched by his understanding of the spiritual world and cultural traditions. I was also lucky to have a couple of visits to one of Kafa’s most important spiritual leaders, who taught me about the religious importance of coffee to the people of the area. 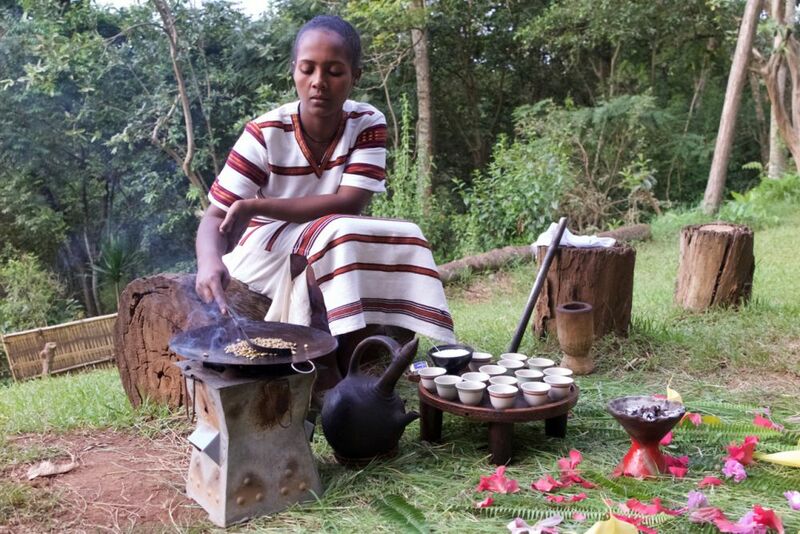 You refer to the “ceremony” of preparing and drinking coffee in Ethiopia – what is it that makes Ethiopia unique in their approach to coffee? The process of preparing a traditional cup of coffee is so elaborate that it is aptly called a “coffee ceremony.” It begins with washing and roasting the beans and carries on through pouring it out into tiny cups. The host will brew three rounds with the grounds. It is considered not just rude to leave before the third one is served, but could bring bad you luck. “Buna dabo naw” or “Coffee is our bread” is a popular expression you mention. How does that speak to their coffee culture? 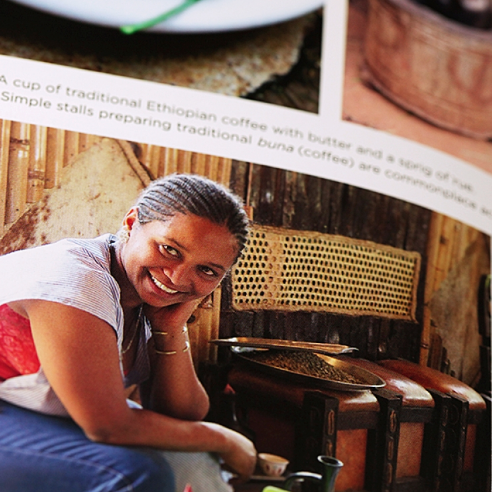 In Ethiopia, a meeting rarely lacks coffee, and coffee rarely lacks company. The country is one of the world’s largest producers of coffee. Yet it exports less than half of what it grows. To put that another way, it consumes more than half its own production. That’s around 500 million pounds of coffee for a population of nearly 100 million, a particularly impressive quantity as nearly half the population is under fourteen years of age. By contrast, Kenya consumes just 3 percent of its production, while Colombia exports over 86 percent of its coffee. If there’s one thing coffee lovers should take away from reading your book, what should it be? A deeper understanding of coffee’s origins, spread, and future – and how tightly these three things are related. The story is more complex than I ever imagined. And more interesting. How have your travels and research affected your own coffee habit? I gained a much better appreciation for the long and involved coffee chain – there are so many people involved between field to cup, and any one of them can screw up the final brew. When I take a sip of excellent coffee I am more amazed – and thankful – than ever. 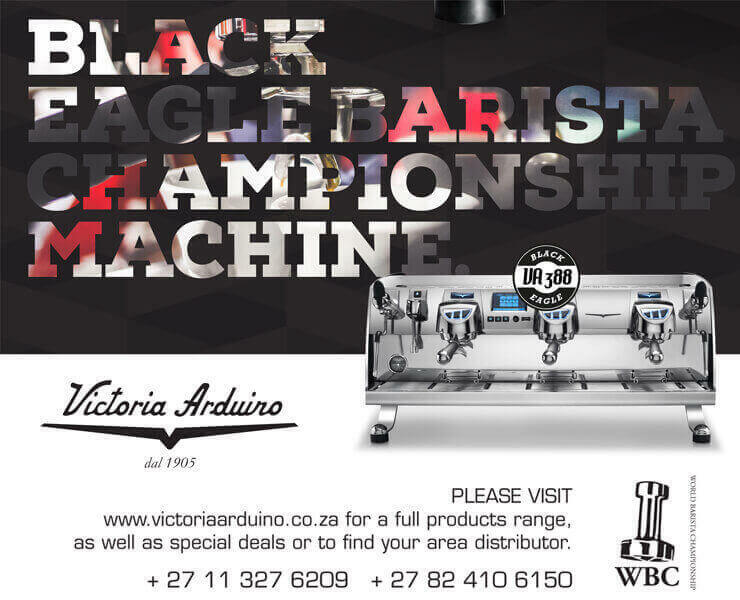 Where the Wild Coffee Grows is available from Takealot, Loot, or Amazon.